Vendors have seven ways to choose how they receive funds. Seamlessly integrates with Intelligent Audit. 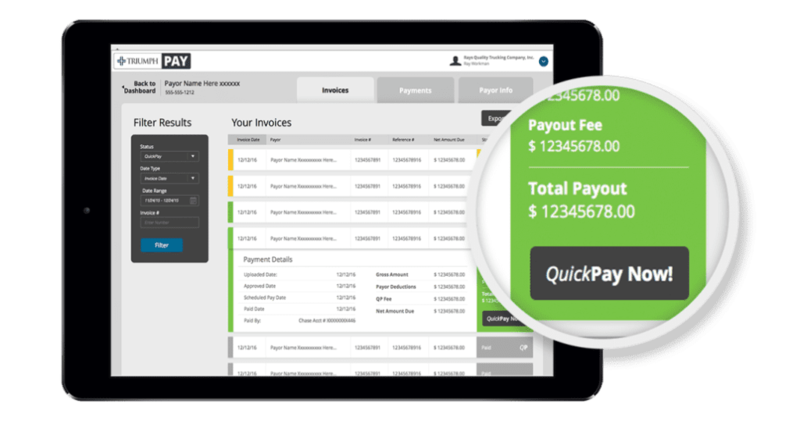 Partner with Intelligent Payment throughout the freight audit and payment process. Is a leading provider of carrier and vendor payment solutions to the supply chain industry. Since its inception, Intelligent Payment has paid over 100,000 carriers on behalf of its shipper and freight broker clients. Handles movement of funds, remittance to carriers, and reconciliations. Offers accelerated payment options to your carriers at no additional cost to you. Subject to SOX and additional regulatory and audit requirements as a subsidiary of a bank and a publicly traded holding company. Trust. Security. Transparency. Your transportation dollars are kept in escrow. Your money is safe with Intelligent Payment. Identify existing and potential future issues and maximize refunds from carrier companies worldwide. Audit over 150 points to recover opportunities regardless of dollar amount. Automate dispute submission and resolution tasks. Create systematic processes to drive and increase cost savings. Streamline your accounts payable processes. Ensure that carriers are paid correctly, on time, and in line with current payment terms. Accurately manage and allocate costs across your organization. Simplify your operations and improve your bottom line. Analyze carrier contracts to determine cost reduction opportunities. Identify areas for improvement to optimize current contracts. Holistically analyze your supply chain to improve transit time, lower costs, increase customer satisfaction. Leverage the support of IA advisors to better manage and reduce risk. Learn more about Intelligent Payment and our integrated suite of technology solutions. Complete this form and a member of our team will be with you shortly.